Ussari Space Program! 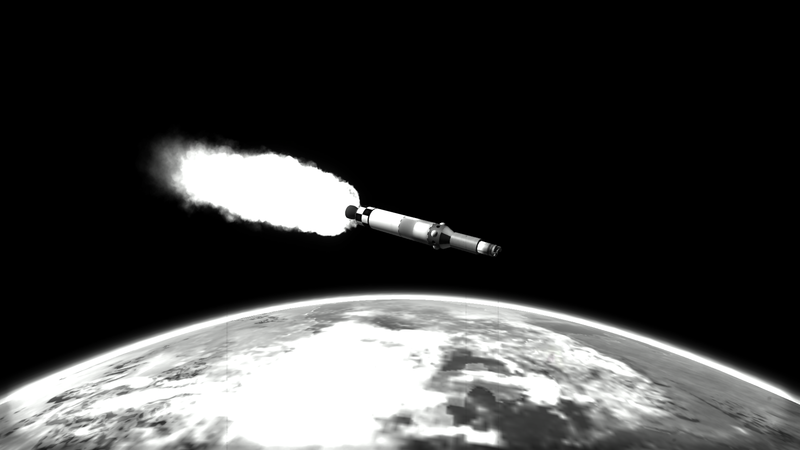 A highly [unstable] modded 64K career from behind the iron kertain! 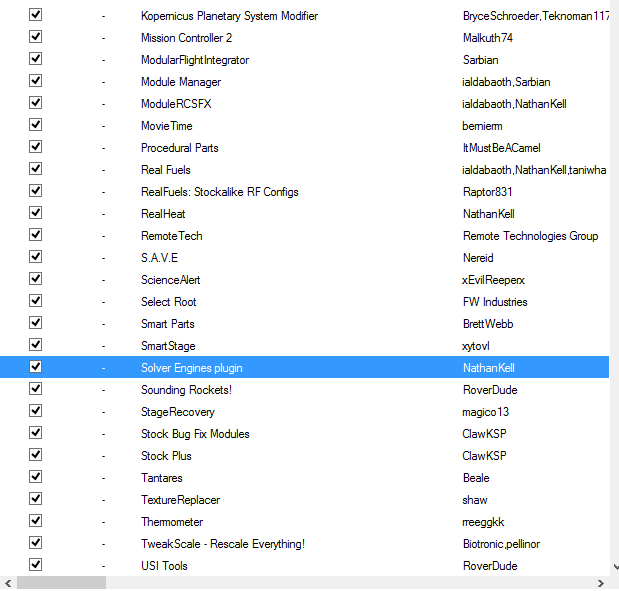 CKAN file of my mods as of 1/3/16. Some entries were manually removed, RCSFX is NOT needed or compatible with 1.0.5, for example. Primary mods are Tantares and of course, 64K, with a seasoning of various visual & realism mods that are HIGHLY SUBJECT TO CHANGE! But, I'm gonna stick with it and see where this goes while also writing a fanfic to go along with it. 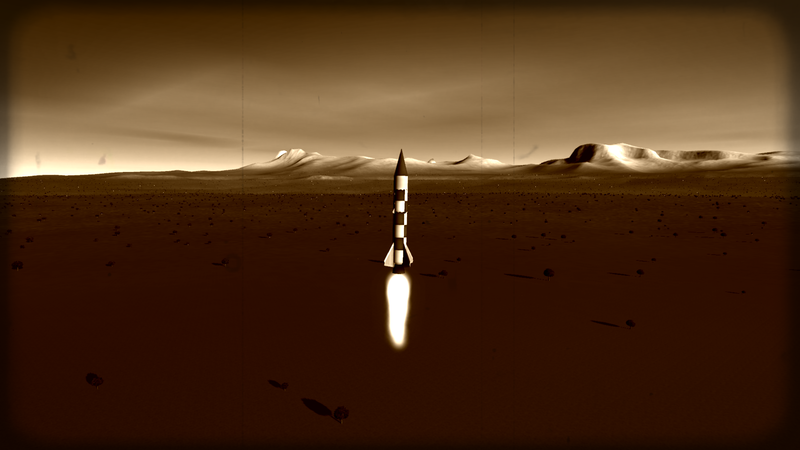 Difficulty settings: quicksave/reverting ON because crashes, no respawning, 200% funds rewards because 64k is EXPENSIVE, with 200% penalties, and starting funds around Ã¢â€šÂ½100,000 after some necessary Kerbal changes. 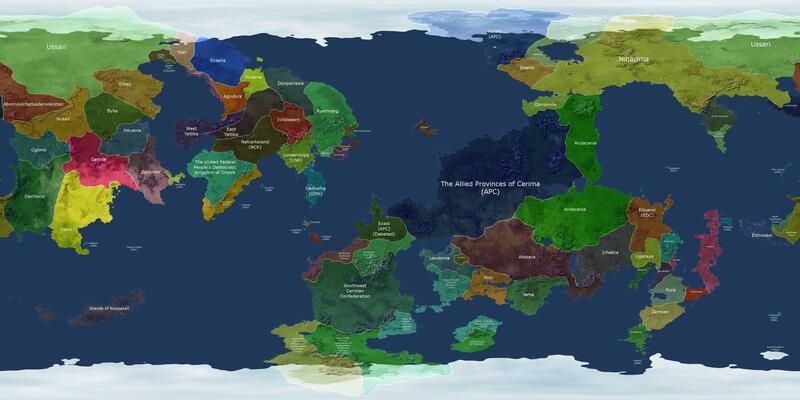 All launches are from territory controlled or "borrowed" by the Imperious Union of Ussari Republics. 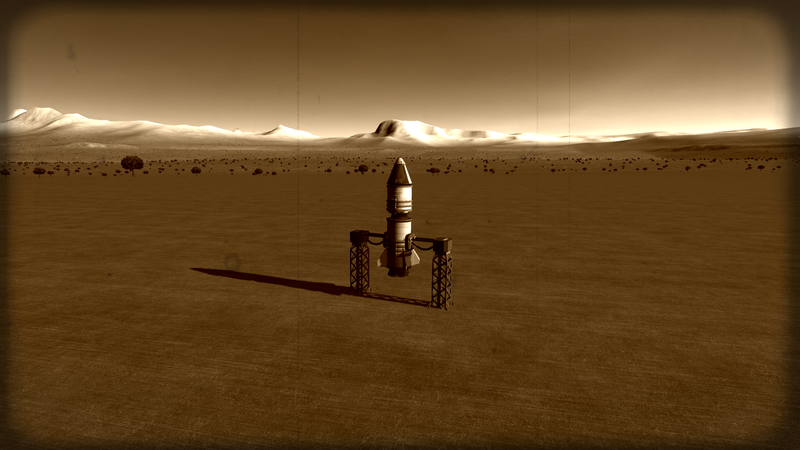 If you see KSC, someone is probably going to Kerberia. I've tried to get Kerbal Construction Time working but it doesn't seem to play well with KerbinSide's launchpad switcher, which is disappointing as it's such a vital realism mod. Any resemblance to the excellent career reports byShania_L and Landwalker is completely unintentional, absolutely not the result of careful reverse-engineering, and purely a case of convergent evolution. Credit for map to this guy. Greetings Comrades! It is I, Comrade Political Officer, speaking under authorization of the Imperium of the Ussari Union, to bring you poor, backwards foreigners news of vast accomplishments of Ussari Imperiousism! The Ussari Union now takes rightful place as technological leader of all Kerbal peoples! 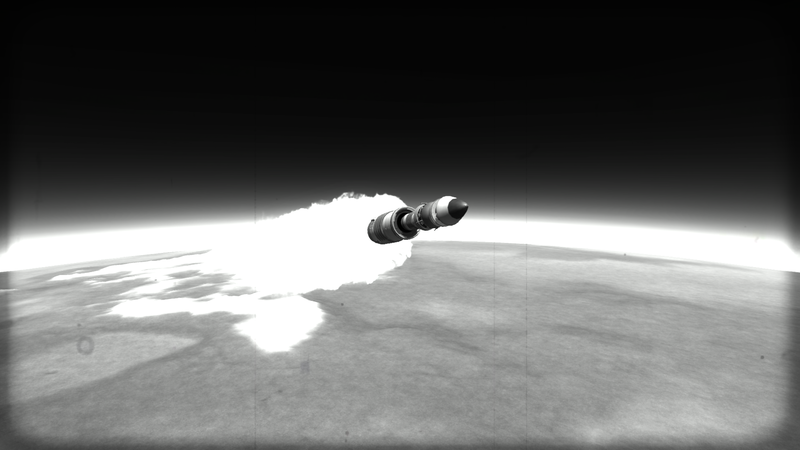 The Imperious Academy of Sciences has been committed with task of putting first Kerbal-made object into space. 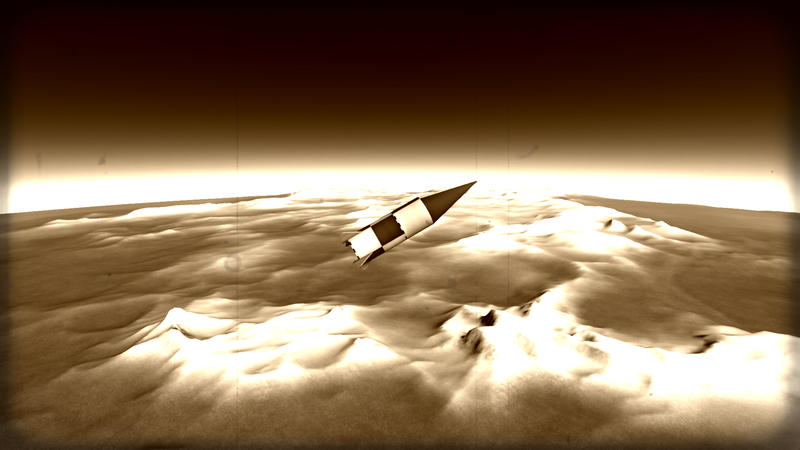 Head of design bureau, Valentin Kermanshko, after 49 days of adequate funding, has produced Shumno Kriket I, absolutely not re-engineered surface-to-air missile deployed unilaterally to friendly nations, to begin probing mysteries of outer space! 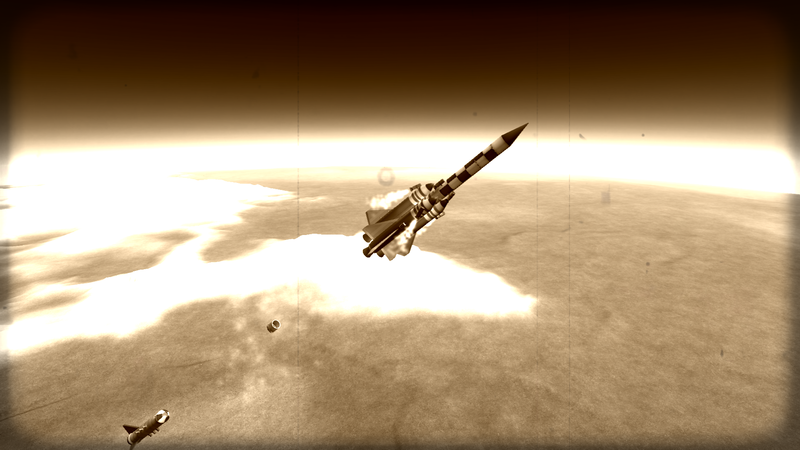 Here is missile rocket mounted on field-deployable portable launch bunker manned by brave Comrade Scientist Yuri Kerman! Smile, Yuri! Smile harder Yuri, or you go back to cell. That's better. Shumno Kriket I is simple technology demonstrator, and unguided. 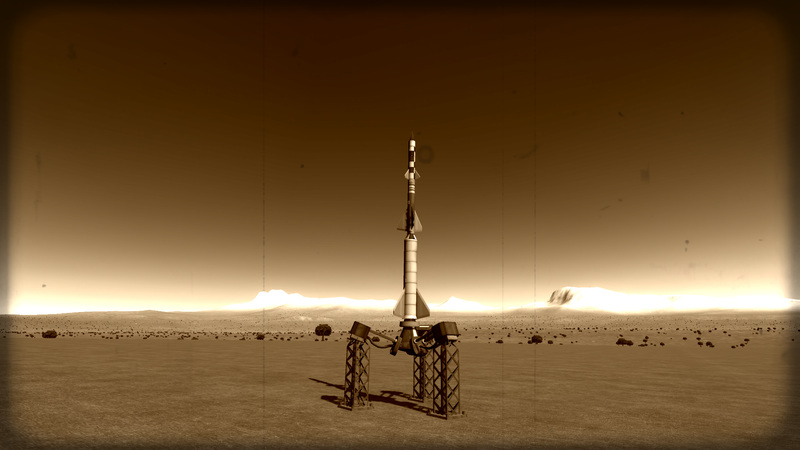 Mostly due to lack of tracking station at launch site. But Ussari people have long tradition of doing things hard way, unlike squishy bourgeoisie rivals at Kerbin Space Center! See Yuri gather Science from highly advanced experimental science collectors! Gather harder Yuri! That's better. After Yuri has gathered science, secure inside poorly-ventilated portable launch bunker, he throws switch to send Shumno Kriket I skyward! Shumno Kriket I shoots powerfully into sky, again absolutely not like converted surface-to-air missile! 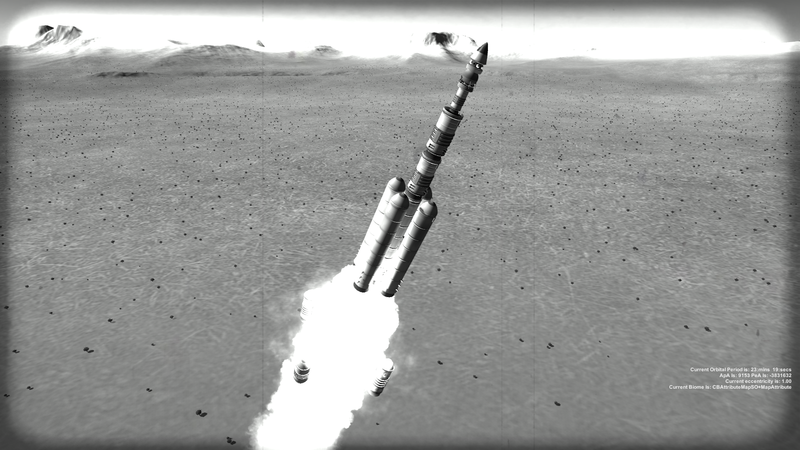 After engine burnout, booster automatically decouples from payload section. 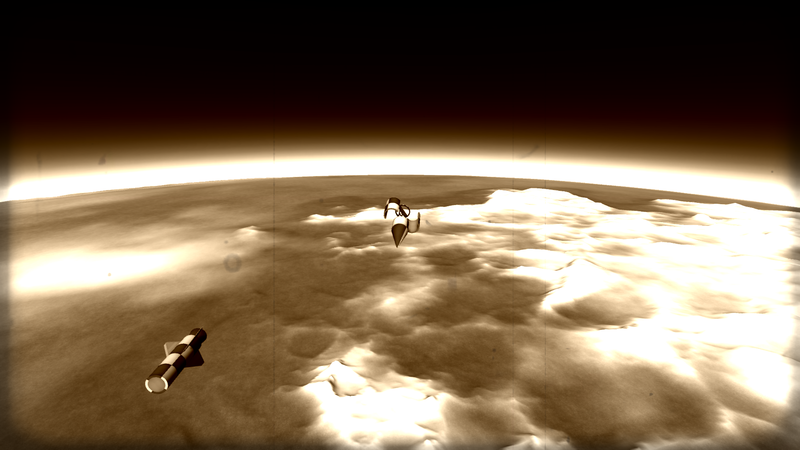 One say soon payload will bring glorious Ussari experiments to space! 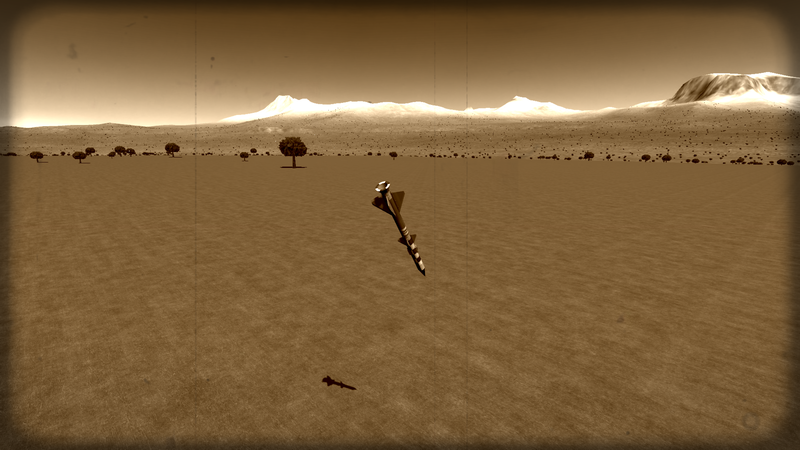 Shumno Kriket I reaches 14 kilometers altitude before crashing to ground as planned. Academy declares flight complete success! Ussari Union really can into space! Director Kermanshko immediately put to work on Shumno Kriket II! Yuri's stalwart Science gathering returns 19,7 Imperious Science Units, enough to unlock first two nodes of what Imperious Academy of Sciences has organized into "tech tree." 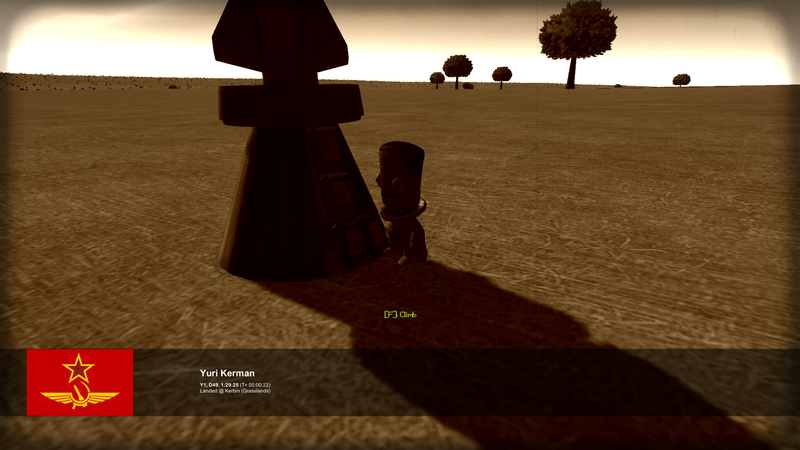 Director Kermanshko is resolute, and in 25 days Comrade Yuri again ventures to the barren steppes of Oglona with Shumno Kriket II. He wastes no time in activating launch! 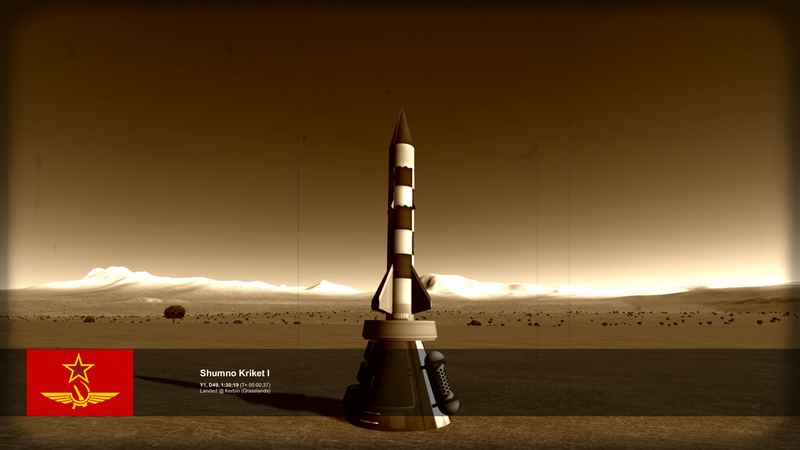 Shumno Kriket II launch is perfect! 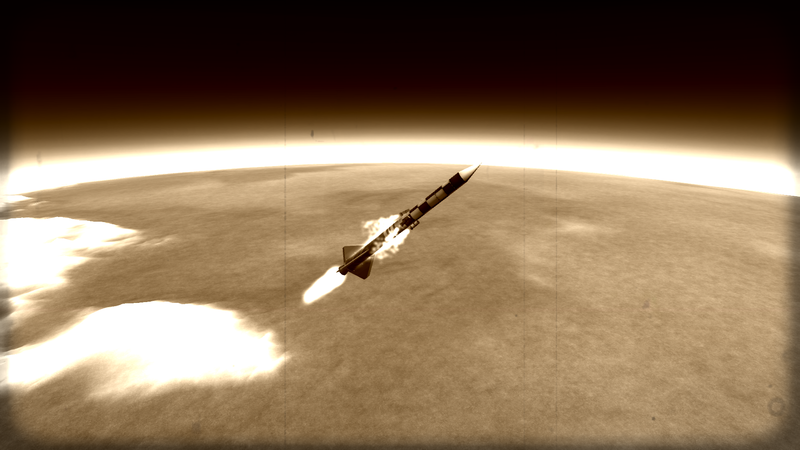 Shumno Kriket II reaches altitude of 34 kilometers and speed over Mach 2! But still Academy is not satisfied. We must do more! This is not Shumno Kriket III. This... we do not speak of this. This is Shumno Kriket III! Pinnacle of Ussari engineering! See it shriek into the sky at brave Yuri's command! Shumno Kriket III!... is going wrong way? 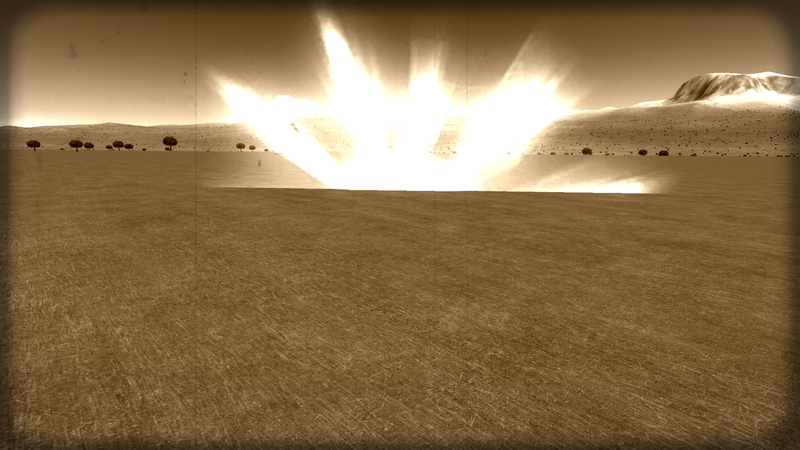 This is minor anomaly, second stage ignition shall correct. 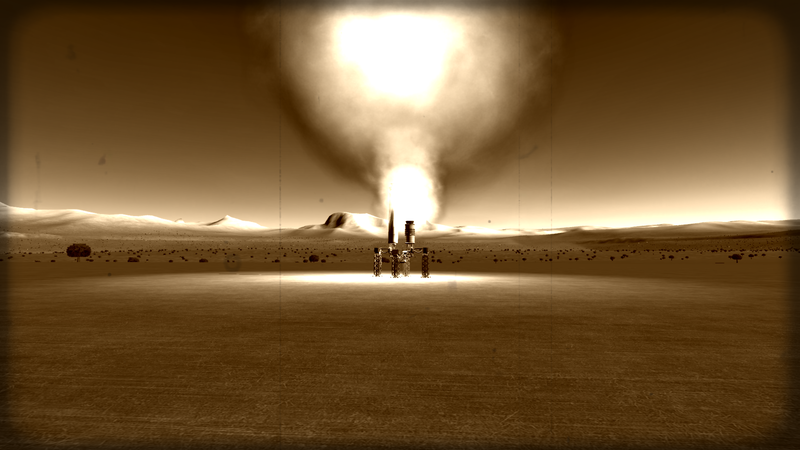 Second stage has failed to ignite! Second stage has suffered staging malfunction. Brave Yuri can only watch helplessly from bunker. Sorry about yurt, Comrade Anonymous Peasant. Shumno Kriket III is abject failure. Director Kermanshko has been re-assigned to Kerberian salt mines. 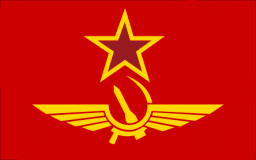 Comrade Sergei Kermanev has been assigned by Imperious Academy of Sciences as new design bureau director, and immediately sets to work on Shumno Kriket IV. Work harder Comrade Kermanev. That's better. That map is hilarious, and the write-ups are outstanding. As a mod-hound myself, I always like looking at others' lists of mods. Yours has opened my eyes to the Field Research Contract Pack, so thank you. Out of curiosity, what are you using to get that "title stamp" on the very first image of Shumno Kriket I? I love this so far. 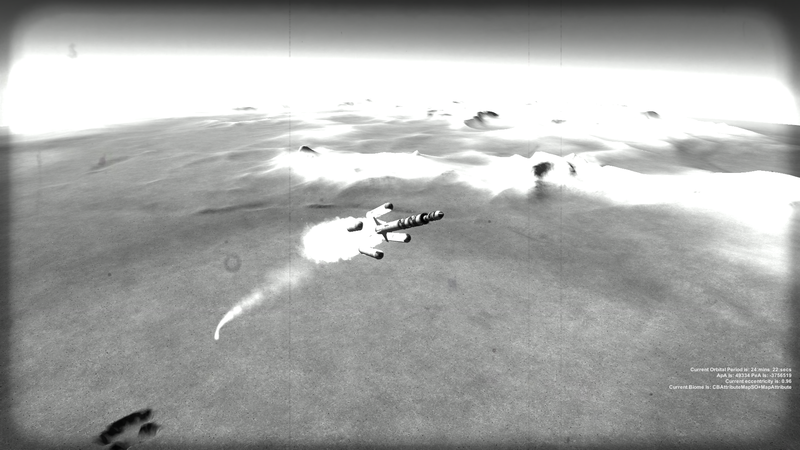 It's hard to tell from the screenshots, but it looks like ground scatter is appearing at quite an impressive distance. Are you using a mod to extend render range on scatter or am I just crazy? Awesome, I am really looking forward to seeing this progress, will this career report be running concurrently to Whispers? I really should get onto upgrading to a 1.0.x install, those mountains in the background you have there look delicious .... I am assuming this is a 1.0.x install? @GehringGame: Dunno about the ground scatter, I just have it turned all the way up. 64k *might* have something to do with stretching it out more. @Shania_L: Indeed. This is the official Imperium-sanctioned chronicle, plus boring stuff (Valentina watched a satellite go up... Valentina watched another satellite go up... would get old pretty quick, lol). 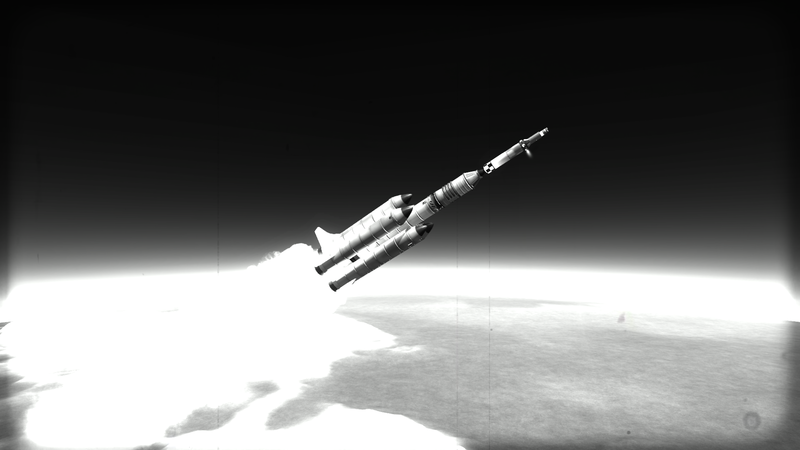 And speaking of poor Yuri, that's the only way I could figure out how to launch. The site is a couple hundred km from the nearest Remote-Tech-recognized tracking site, so there's no signal. I thought of adding one, but where's the challenge in that? Remains to be seen how high I have to get a rocket to get a connection. 35km ain't it yet. The Japanese Mu-series was also unguided until the final stage or two, I figure it's something to aspire to. I just need to remember not to leave poor Yuri out in the pod for days at a time. C'est la vie. Asi es la vida. ÃÂÃÂ° ÃÂ·ÃÂ´ÃÂ¾Ã‘â‚¬ÃÂ¾ÃÂ²Ã‘Å’ÃÂµ! Don't use Astronomer's Interstellar Pack, use Edge of Oblivion (slightly different, not as high-quality, but much less demanding system-wise). 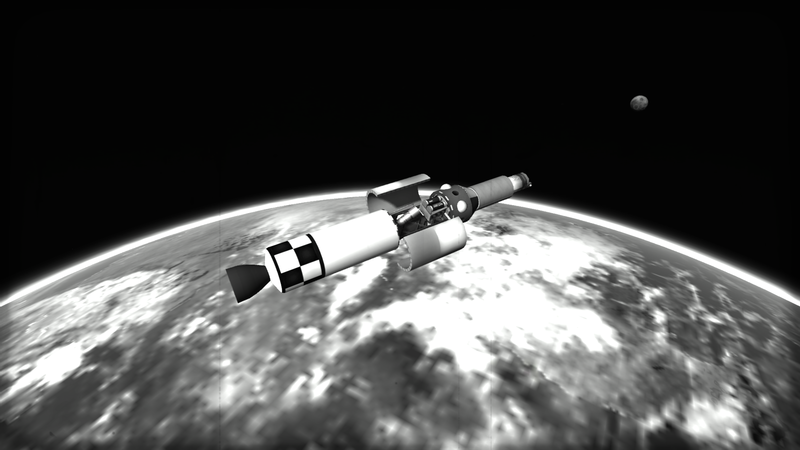 Depending on how many other mods you're using, you might be able to run Interstellar straight-up. It might help to force-run the program in DirectX 11, though (that's what I do). There are other visual packs out there that aren't bad. KSPRC is a good one. Vanilla EVE isn't bad, although the cloud coverage is a little heavy for me and I like having a bit of atmospheric scattering. You might be able to shenanigan your way into getting Better Atmospheres to run, although I've never bothered trying. Brilliant! Hadn't occurred to me to try dx11 or OpenGL. I hate the loss of shadows there but that may be the lesser of evils at this point. I'll give that a try tonight if I can tear myself away from the TV (because PLUTO!). I'm thinking my problems might actually be a physical memory wall too. 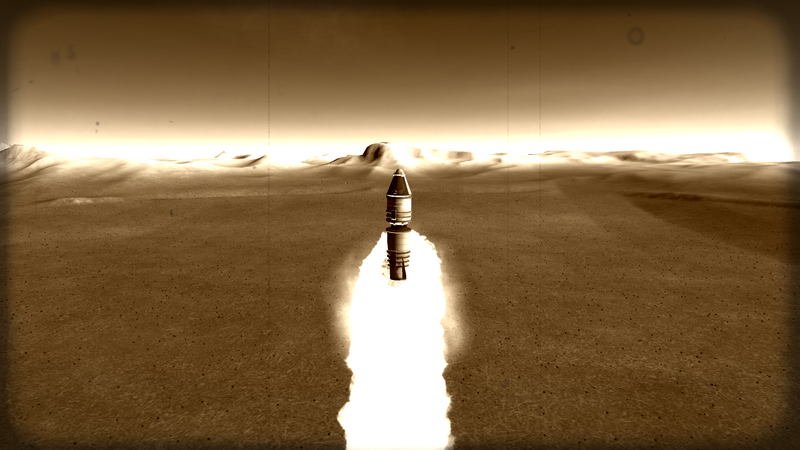 I noticed I'm running close to 90% usage when KSP is running even though it's below the 3.5ish limit its self. Think it may be time for an upgrade. Any idea how edge of oblivion compares to stock EVE (what I've got now) on resources? 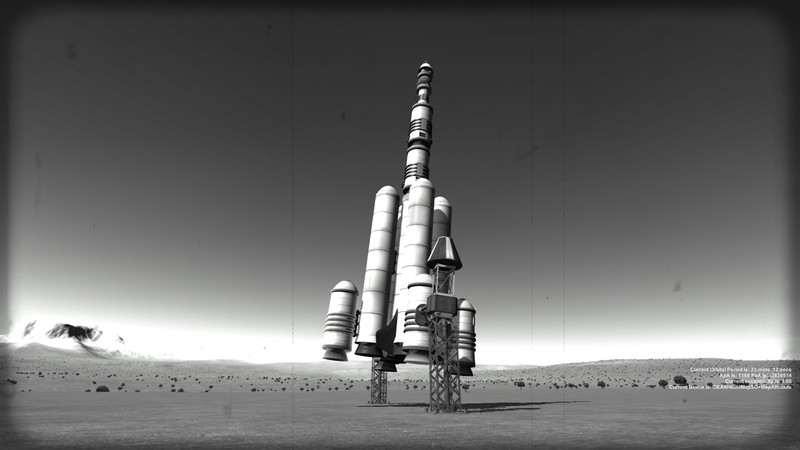 Well, I run Edge of Oblivion (with the Kerbin citylights image from interstellar though) and my setup is actually very stable on I have the odd CTD here and there but they are the exception rather than the rule. I just had a little lookie at the taskmanager memory usage, in the space centre screen as well as while piloting a craft I run at about 2.3 - 2.5 Gb, however the VAB with a decent sized craft up is the most taxing it will clear 2.7 (it also seems to fire up a second CPU core on this for some reason ... my pc being a dual core means this is the biggest performance hit I get) KSP tends to max out one of my cores from the second i fire it up till i shut down, when I do CTD I CTD from the VAB not while in flight. DirectX 11 still displays dynamic shadows without any issues (I tried OpenGL and it drove me crazy not to have shadows). I don't know off-hand how stock EVE compares to EoO in terms of computer resources, but I know that I never had any hiccups running EoO on my 4GB RAM. 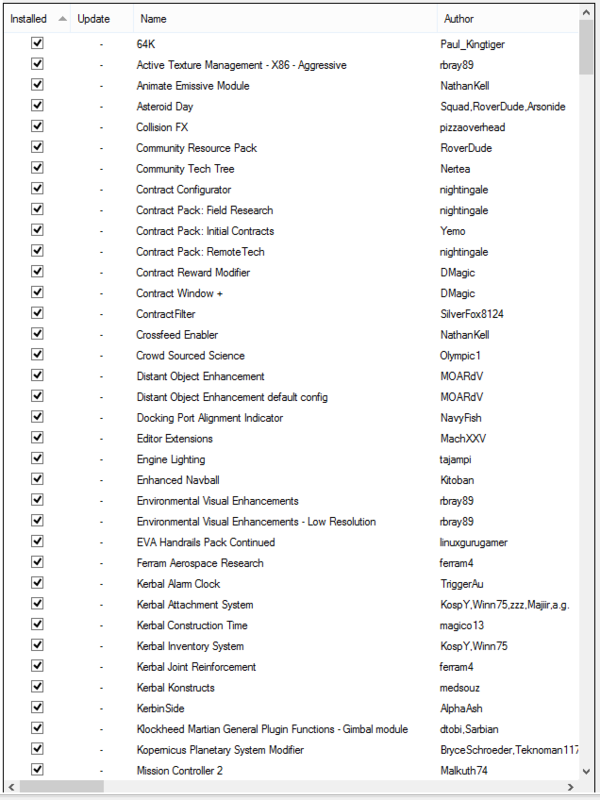 And that's even with me running something like 80 others mods, all in DX11. Of course, I also use Active Texture Management. (Edit: My /GameData/ folder has 85 folders in it. Eighty-five subfolders. Congratulations to SQUAD for making the cut! Brilliant! Thanks guys! Tried dx11 and it did seem much more stable for the 20 min or so I played. That uncovered another bug, but looks like it was a known issue with 64k and think I fixed it. Should have another "official" post shortly. Yup definitely more stable. 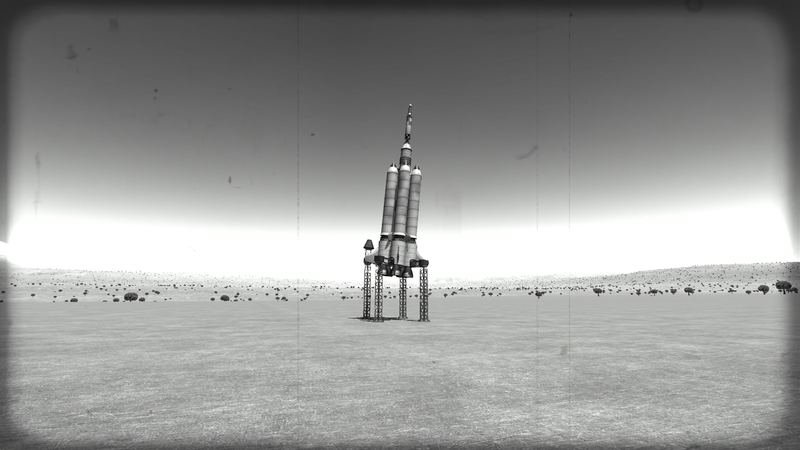 Apparently I forgot to exit KSP last night before bed and when I woke up this morning it was still running. Great to hear! Now game harder, comrade, and report the exploits of valiant Yuri! Victory, Comrades! Shumno Kriket IVa has been an unparalleled success! Finesse and evolutionary change, Comrades. 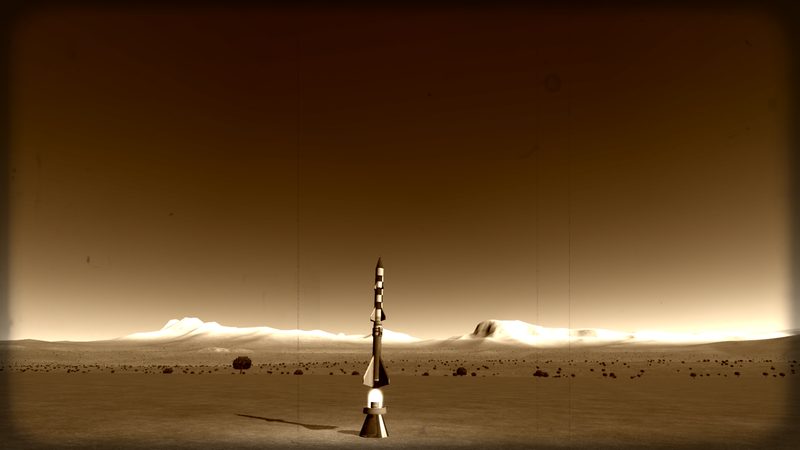 If we are to become a space-faring people, we must learn finesse and incremental change toward the end goal. 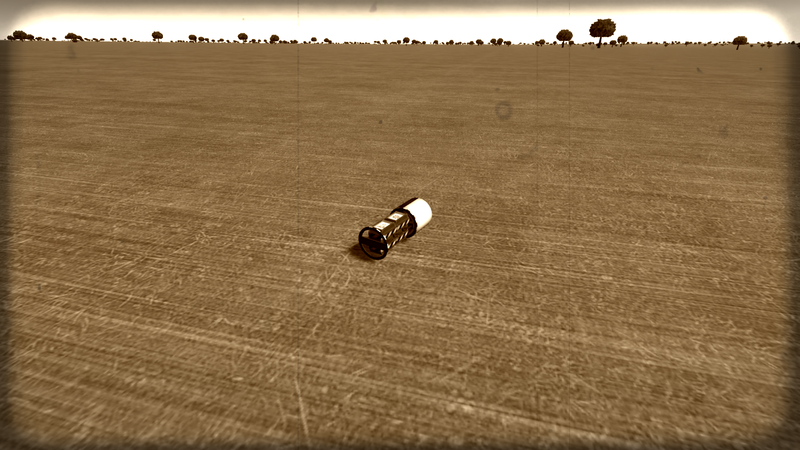 Only finesse can put a Kerbal in space and bring him safely back. But we will learn finesse another day, today we learn BRUTE FORCE! Behold, Shumno Kriket IVa! Shumno Kriket, stripped of all superfluity, down to the bare essentials, and then stacked on biggest booster in arsenal! 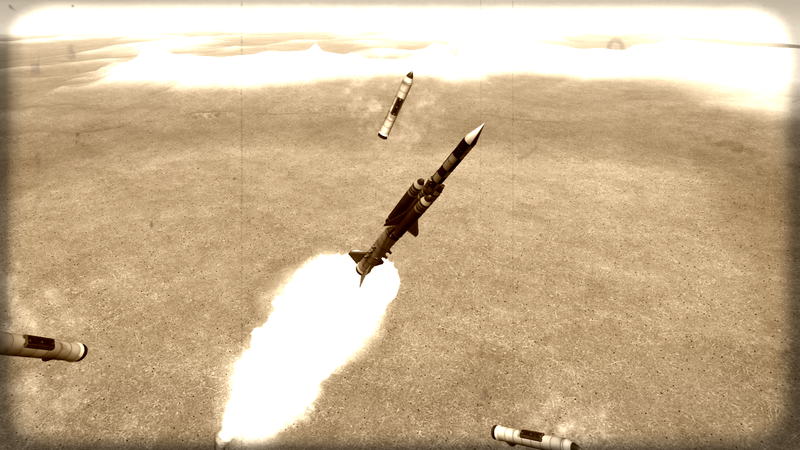 Is absolutely not converted medium-range anti-shipping missile! 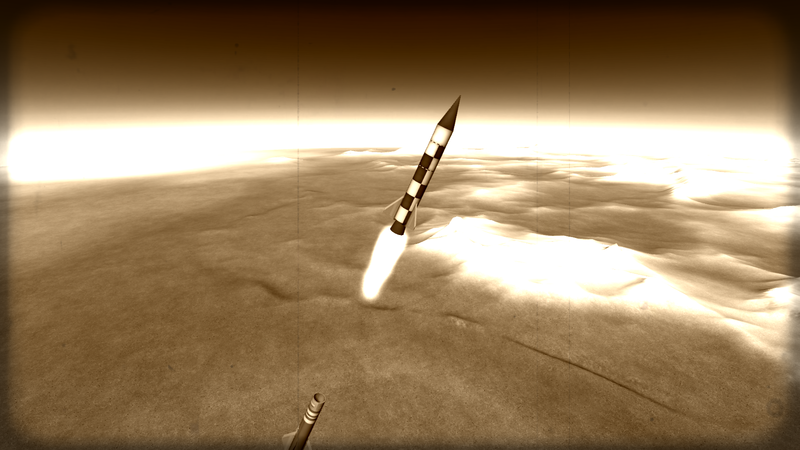 Comrade Yuri's portable launch bunker has been securely bolted to ground to keep rocket stable, launch is flawless! 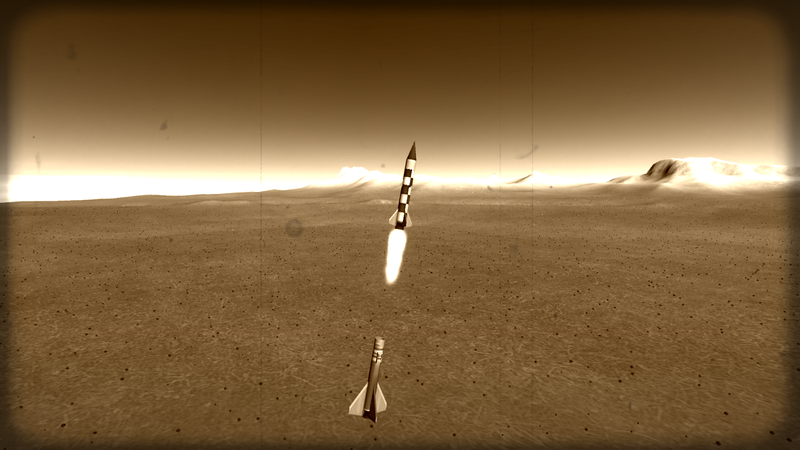 Not-a-missile booster burns true, automatic staging sequence is perfect! Rocket pitches over slightly to north but maintains acceptable azimuth. 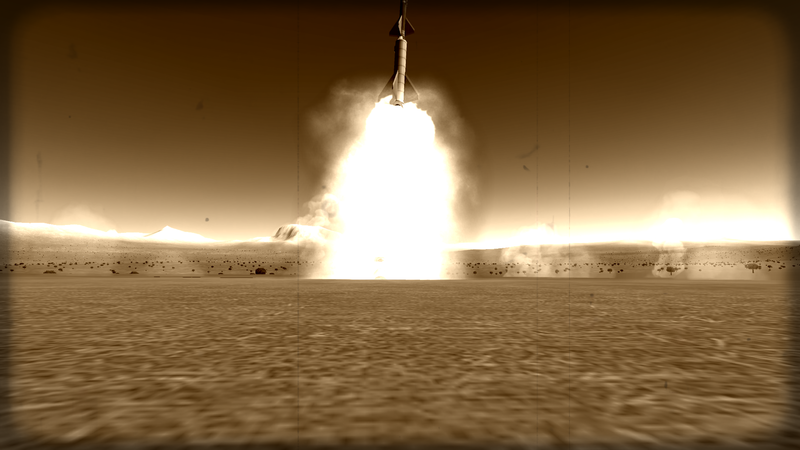 Third stage ignition and second stage burnout is perfect! Third stage experiences minor instability in thin upper atmosphere, most likely due to unusually low center of mass from lack of payload, but generally goes right direction. The day's first victory! As Shumno Kriket IVa passes 41km altitude, Nusad tracking and control station establishes radio contact. Third stage burnout and separation is perfect! Nusad station then sends remote command to arm parachute and jettison payload truss fairings, confirming high-altitude control of rocket is possible! Nusad continues to track Shumno Kriket IVa until battery depletion. Shumno Kriket IVa, victorious! 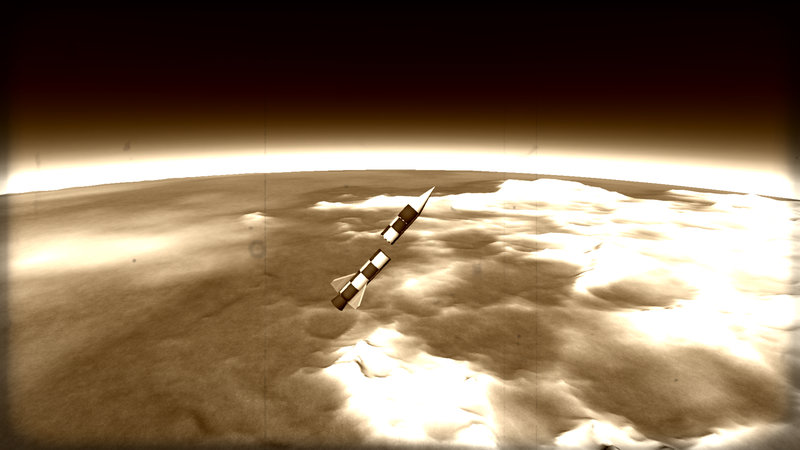 Passes Kerman line at 91km, officially if briefly entering Space! 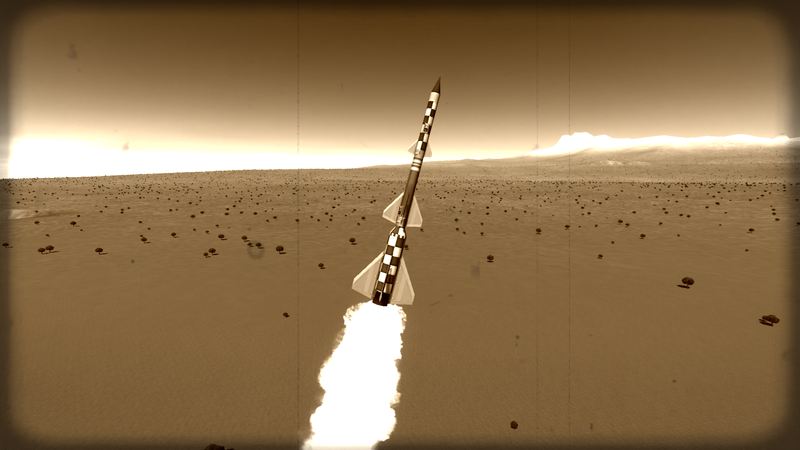 Shumno Kriket attains altitude of 96.4 kilometers and speed of nearly Mach 4! 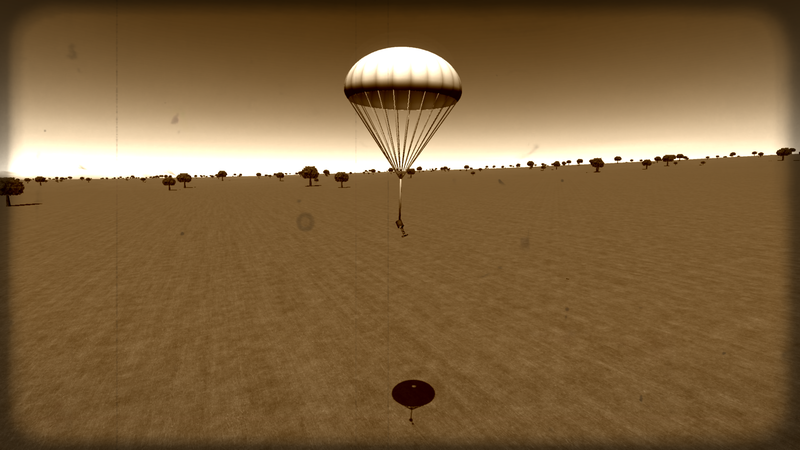 Parachute deployment is successful at 3.8km, and Shumno Kriket also becomes first object recovered from space! It is a glorious day, Comrades! Imperious Academy of Sciences concurs goals have been met, and instantly approves more funding. Brave Yuri shall get a Medal! And a bath. Special commendations are also due to Comrades Landwalker and Shania_L. Report to assigned Gossnab office for extra borscht ration. Greetings Comrades! 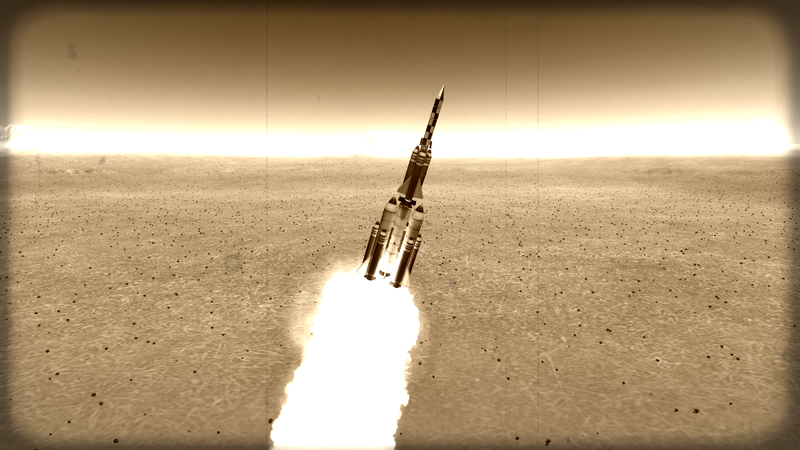 The implacable Ussari Space Program marches ever onward! With Comrade Director Kermanev's success, the Academy of Sciences has authorized provisional funding to expand program. 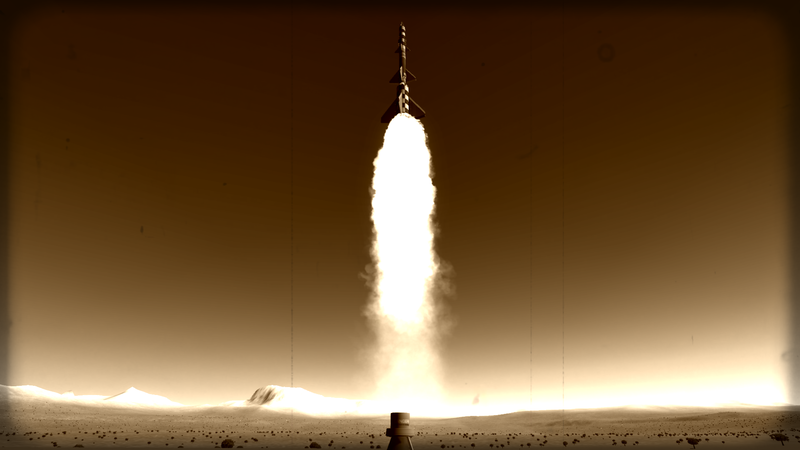 New, more powerful boosters have been designed and tested! 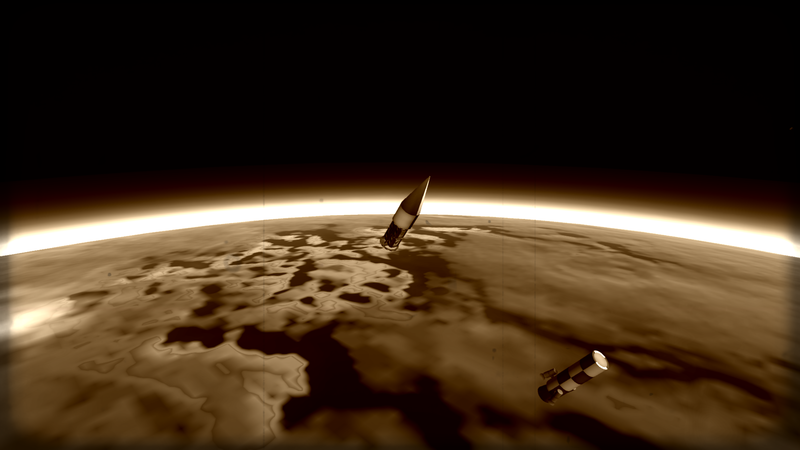 The Academy has now committed to the goal of putting the first Kerbal into space! Four brave volunteers have been selected for candidacy and begun intense training. They are fearless! They are unshakable! 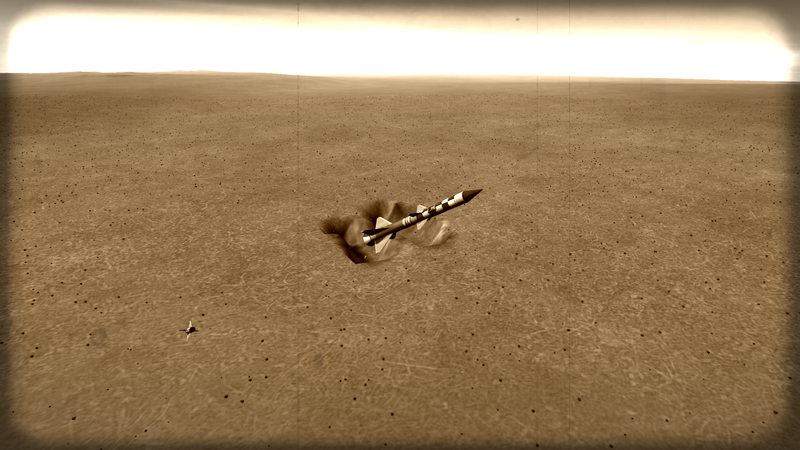 They are the lightest Kerbals we could find. 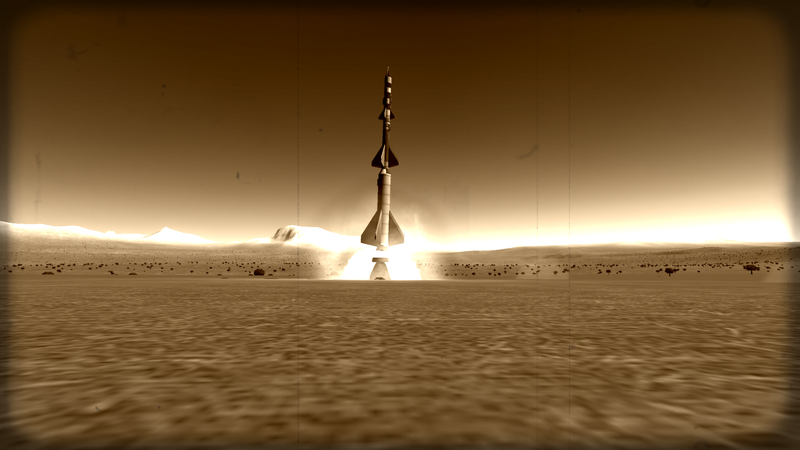 Here, brave Sergei Kermanski undergoes extreme acceleration training at secret space facility. Sergei is strong, like bull! He is stubborn, like ox! He smiles at crushing force of 14 G's! Because he cannot move face. 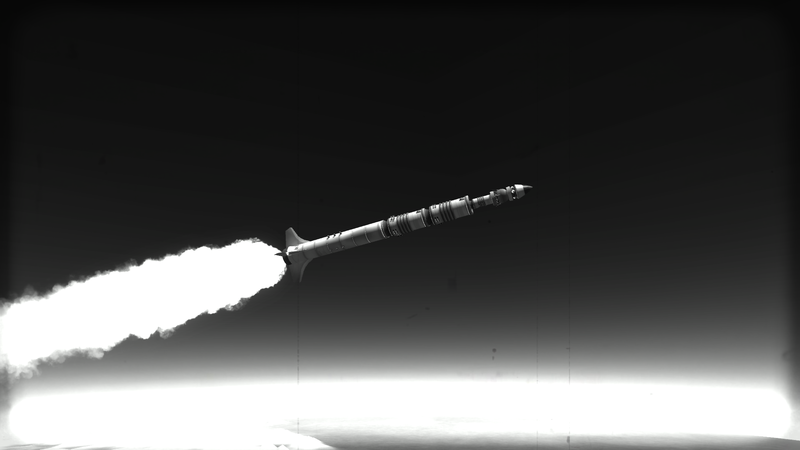 With success of these tests, Academy has authorized funding to expand Assembly Facility to Tier 2, allowing bigger and more complex rockets to reach ever higher! Comrade Director remains hard at work. Shumno Kriket V! Most powerful rocket yet developed! Shumno Kriket V shrieks into sky! Brought to you by experimental moving picture technology! Shumno Kriket V has solved stability trouble of predecessor by inducing spin before final stage ignition. Shumno Kriket V destroys all previous records! It achieves apokee of 125 kilometers, speed over 1500m/s, and travels over 330 kilometers, safely returning valuable science data from four experiments: meteorology, aeronomy, and engineering and materials science! Malenkiy Tsvetok I expands research into radial staging. 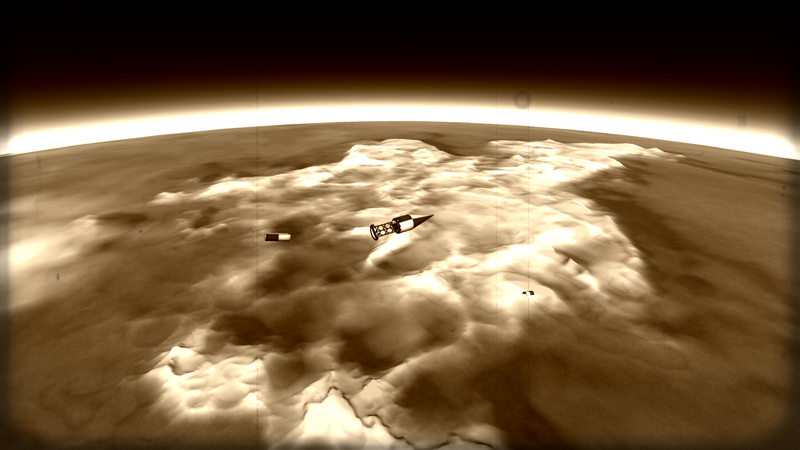 Like predecessor, it makes use of evolutionary SpinCycle technology to maintain stability in tenuous upper atmosphere! Malenkiy Tsvetok I breaks still more records, achieving apokee of 174 kilometers, 2300 meters per second, and reaching over 600 kilometers downrange. But now it seems the stakes have been raised, Comrades! 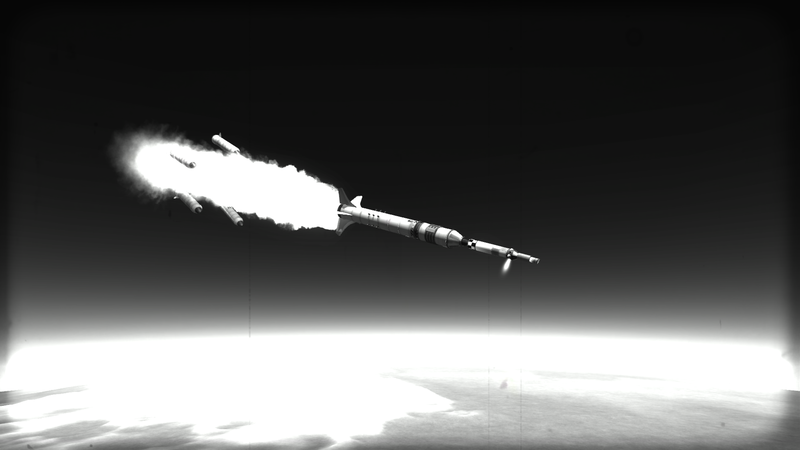 Intelligence indicates squishy bourgeoisie adversaries at Kerbal Space Center have also succeeded in sending object to space, late and slow. They cannot be allowed to put first object in orbit! Comrade Director must redouble his efforts! Greetings Comrades! Today, future is now! Glorious Ussari Union has assumed rightful place as technological leader of world, by placing into orbit first artificial satellite! 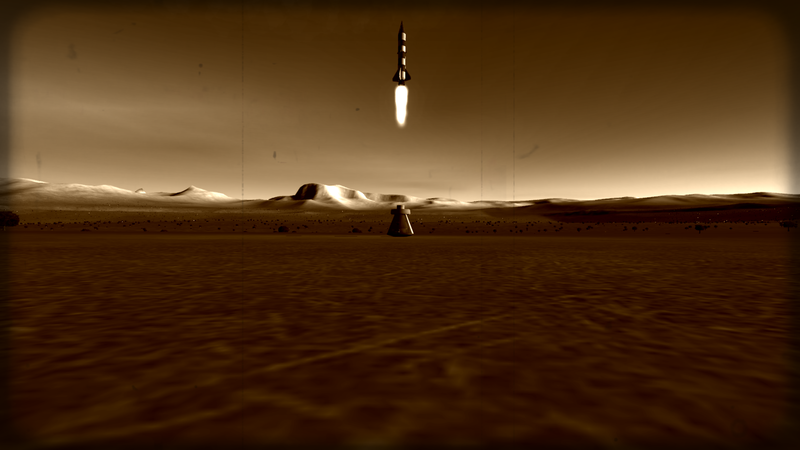 Space program also gets new cameras. 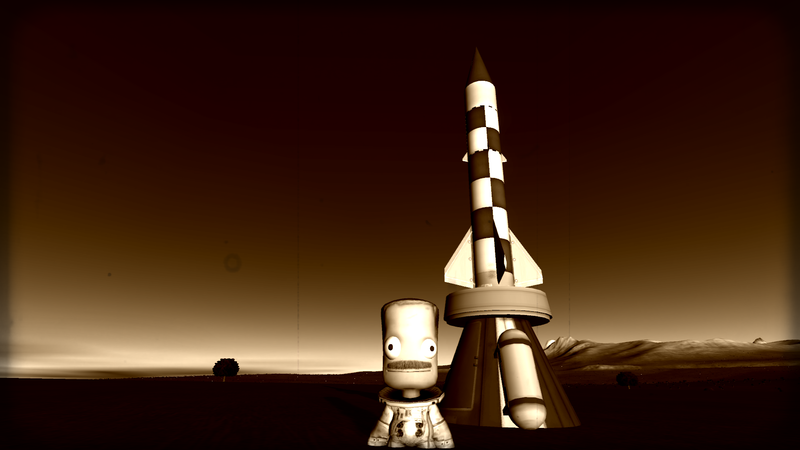 Comrade Yuri stands by ready to launch Strannik-1 satellite. Strannik-1 most powerful rocket ever created! 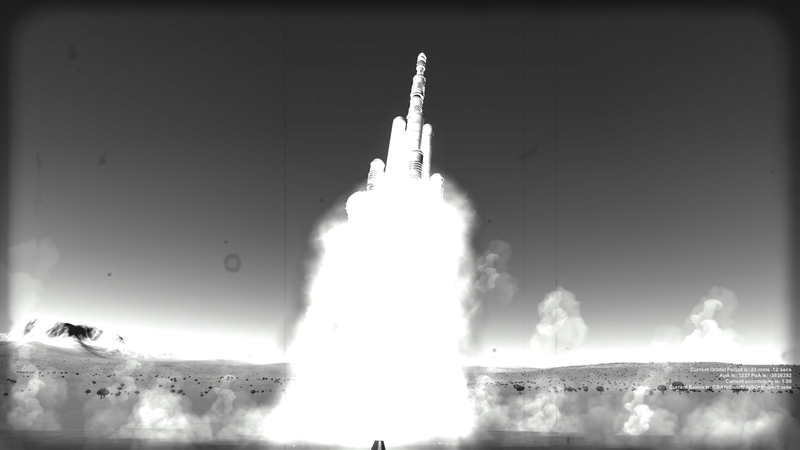 Absolutely not converted intermediate-range ballistic missile! Strannik-1 will also be first rocket actively guided after launch. Kick boosters burn only few seconds. With unguided launch, high initial acceleration is needed to keep rocket from pitching over too early, but too much makes climb too steep. Precise Ussari engineering allows perfect natural turn with gravity. 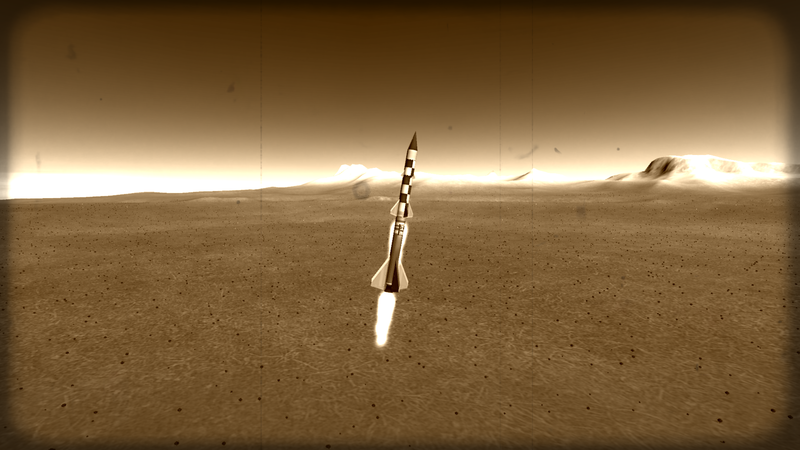 Main boosters separate at 30 kilometers with rocket on proper course. 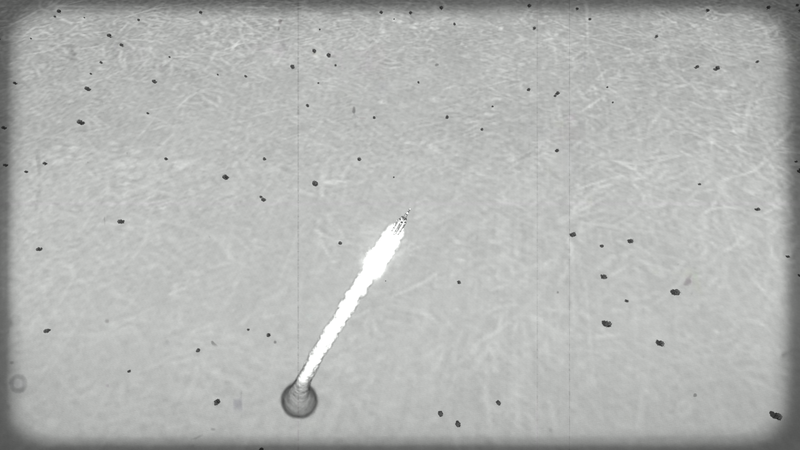 Core stage ignites at booster separation. In tenuous upper atmosphere, aerodynamic stability is quickly lost. At 41km connection is established with Lake Dermal tracking station, and active guidance phase begins. 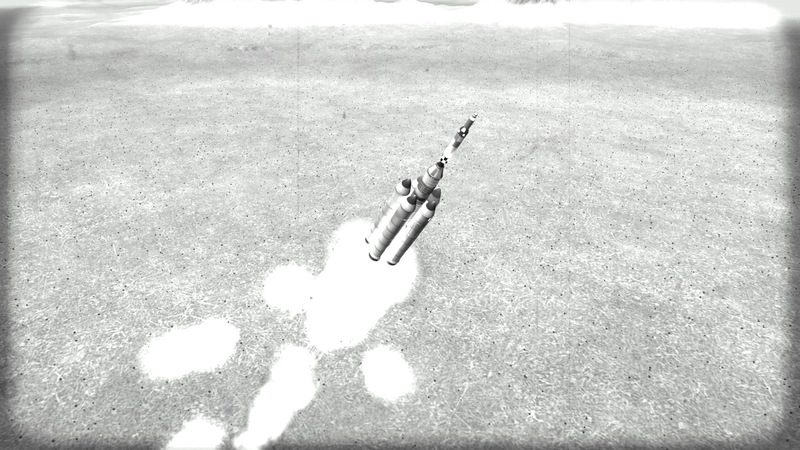 Experimental hydrazine thrusters in nose now steer rocket on course. 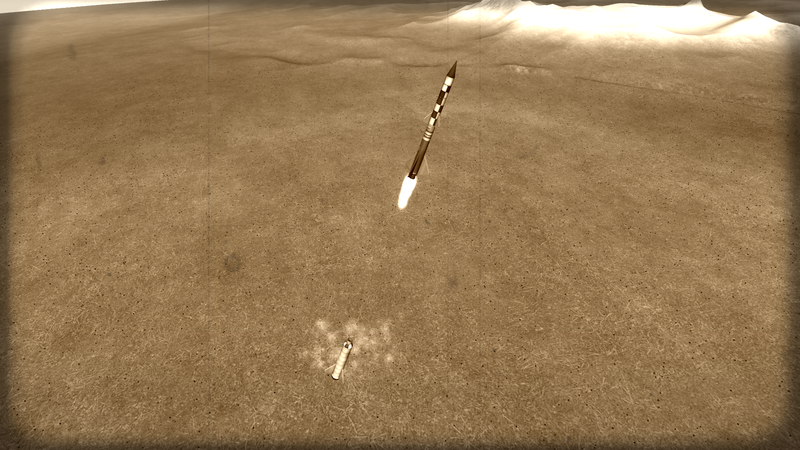 Fourth stage ignite as rocket leaves atmosphere. Guidance is perfect! Strannik-1 climbs higher and faster! Fifth stage is identical to fourth raising apokee well into outer space! 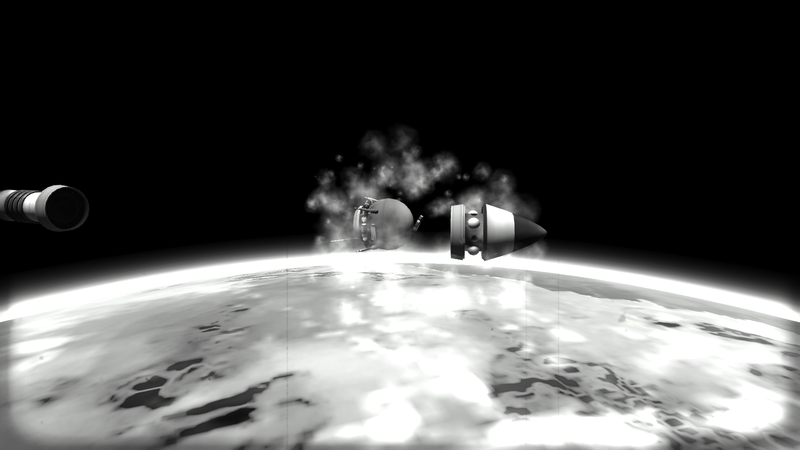 Fifth stage burns out and separate, ending automatic SmartParts staging sequence. 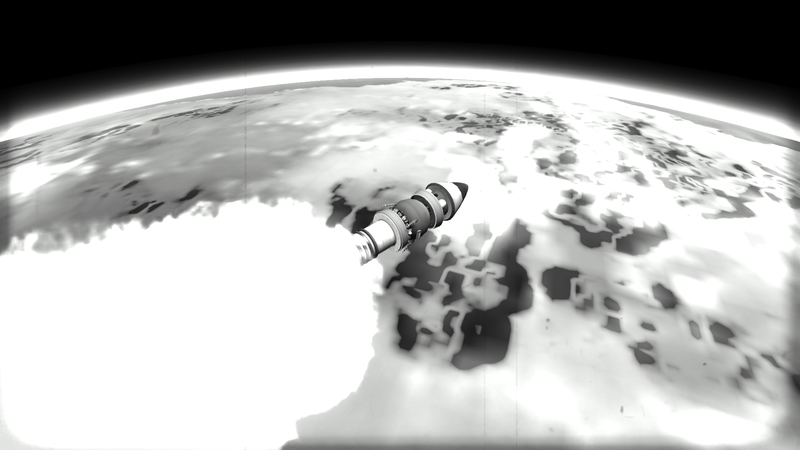 Kick stage and control unit now coast to apokee over squishy bourgeois rivals at Kerbal Space Center! Kick stage ignites! We are gracious people, bitter backwards adversaries have honor of confirming for us first artificial satellite in stable orbit! Kick stage and control unit separate, Stannik-1 now free to wander globe! 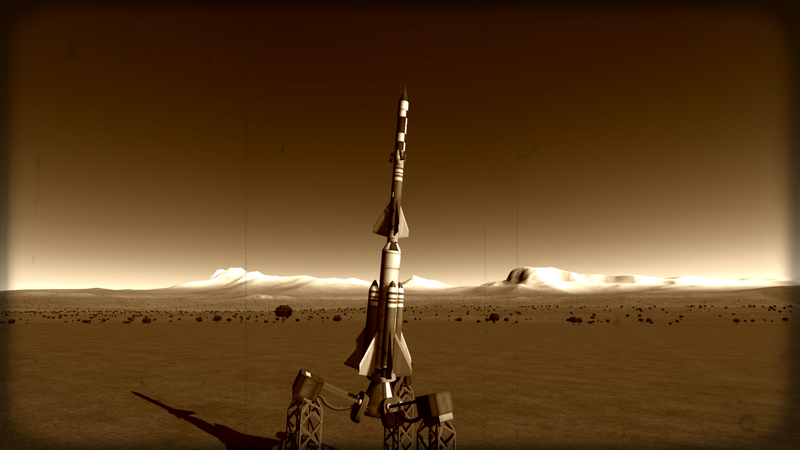 Strannik-1 immediately returns first data transmitted from space. Result: space is sort of hot but not really, depends on which way is thermometer. Strannik-1 continues transmitting for 13 minutes before batteries run out. Yet he is still in stable 499x211km orbit, inclined 28.4 degrees to equator, traveling at over six kilometers per second! We have attained great victory today, comrades! New Strannik-class launcher has performed flawlessly and will no doubt place many more satellites into space in near future! Imperious Academy of Sciences is already requesting new satellite to actually do something useful! 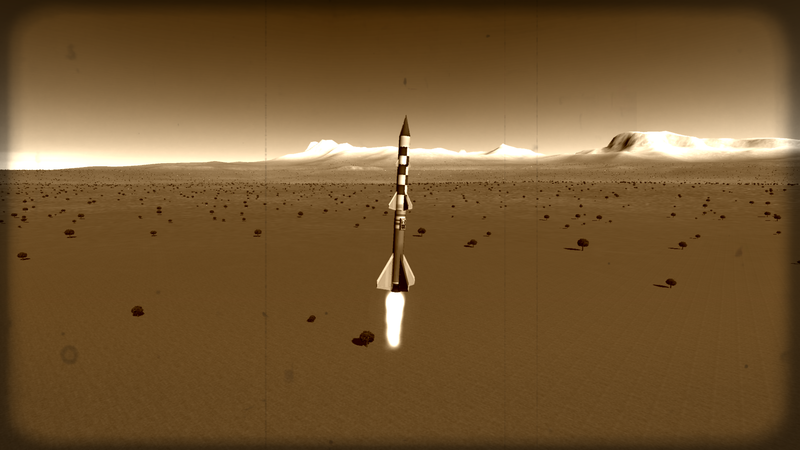 How do you launch your rockets from the mountains? 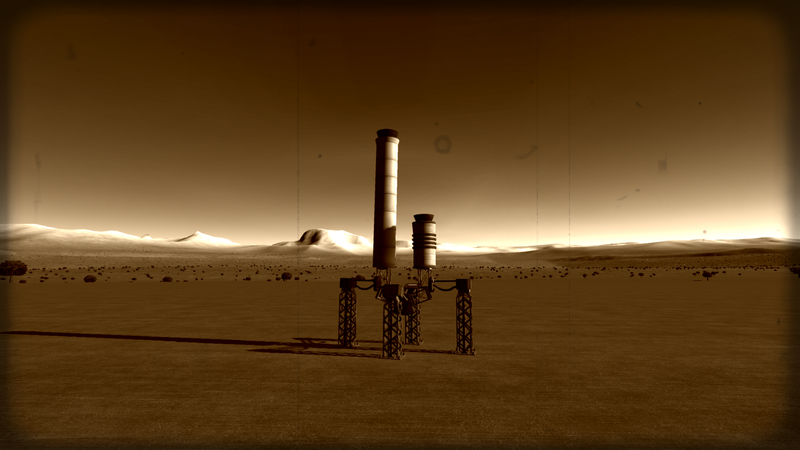 Are you using Kerbal Konstructs? Dang, Ussari. Have yourself some boosters, there. I am troubled by the sudden and unexplained disappearance of loyal Yuri. No doubt kidnapped by capitalist spies. @Kuzzter: I figured I'd try something a little different. I'm deliberately avoiding any *actual* politics. Officially, the Ussari Union is an unconstitutional oligarchy, while the Kerbal Space Administration is a loose alliance of kleptocratic bureaucracies. But they're all Kermanists. Evolution, Comrades, Evolution! 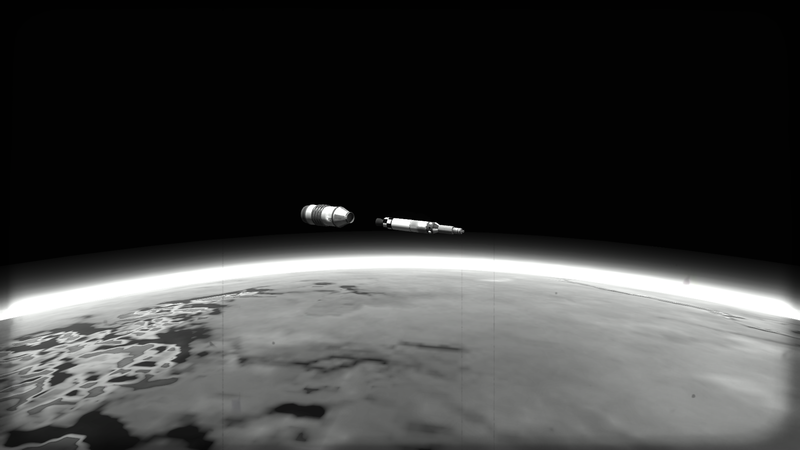 Lessons from Strannik-1 have been well learned, and now bring Strannik-2, first science research satellite! Strannik-2 rides on new, improved Strannik-Ãâ€˜ class launcher. Five extra-high-thrust kick boosters provide initial impulse to stable speed, where five sustainer boosters take over for climb. 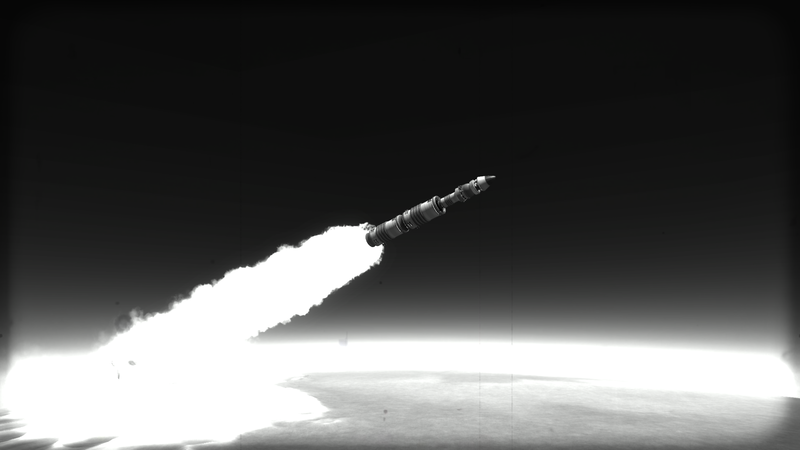 Control contact is established at 41km, shortly before sustainer booster burn-out and core stage ignition. Strannik-Ãâ€˜ is refined! Strannik-Ãâ€˜ is efficient! Strannik-Ãâ€˜ uses single solid rocket for final boost to apokee. 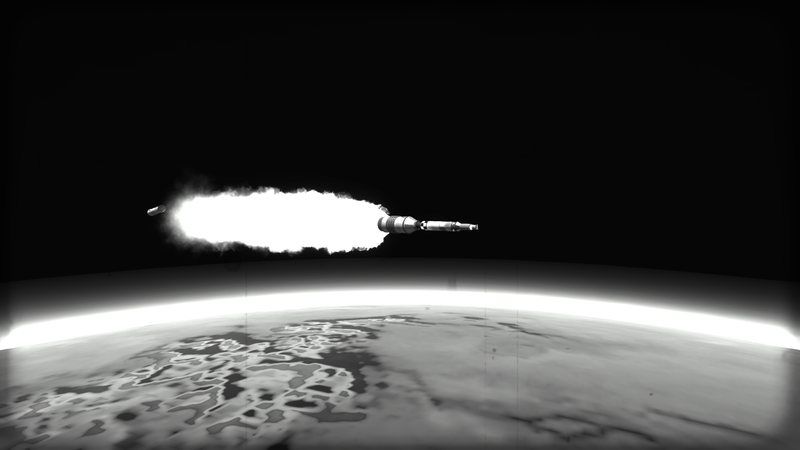 Strannik-2 satellite then coasts to final ignition. 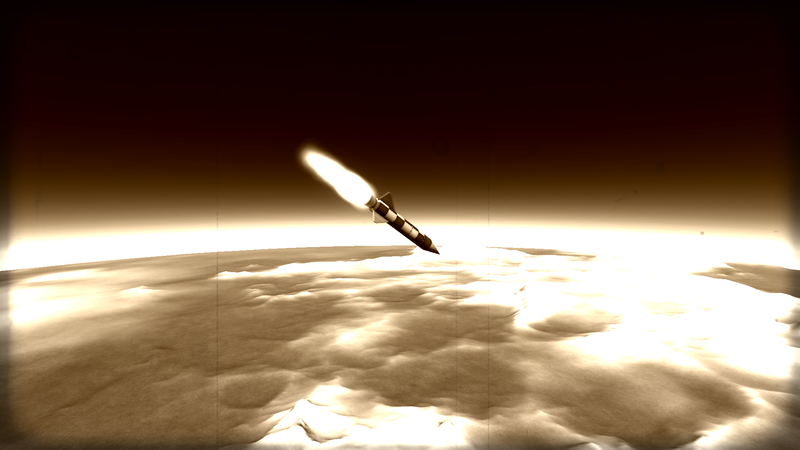 Final kick stage ignites at apokee, raising Strannik-2 to stable orbit of 660x300km. 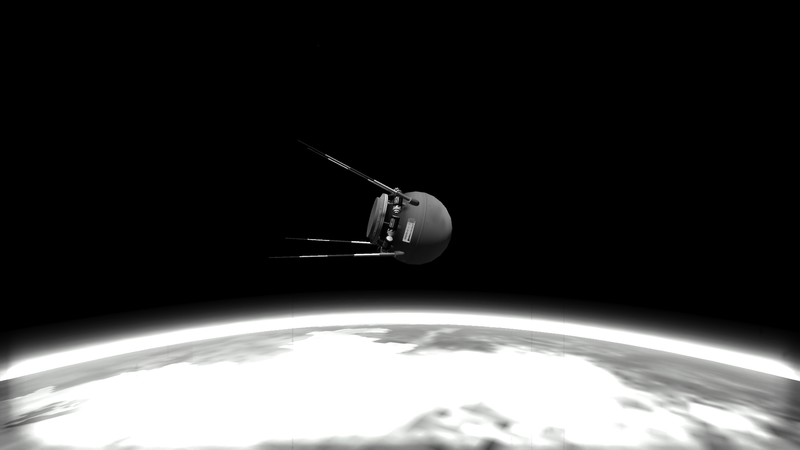 Strannik-2 then jettisons instrument fairings and deploys magnetometer boom, returning much useful science! More important, Strannik-2 features excessive battery capacity for experimental control downlink for next great Ussari leap... upward! Comrade Yuri is still missing. Report any information on his whereabouts immediately to local NKOTB office!